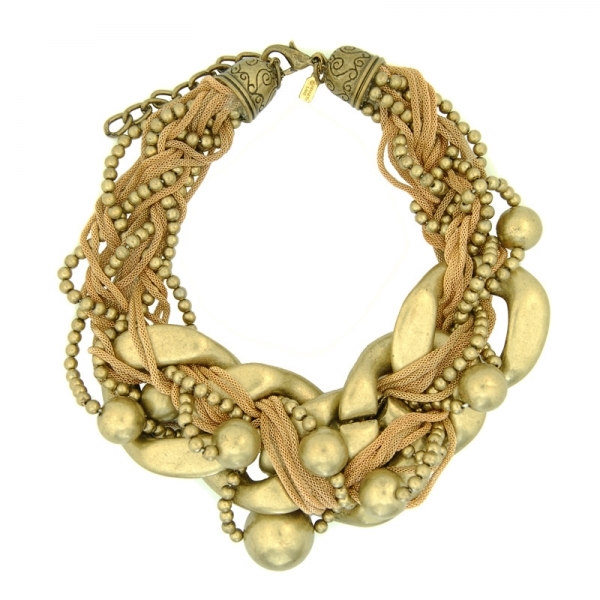 New from Kenneth Jay Lane this oversized 22-karat gold-plate braided necklace definately makes a statement necklace. Featuring a large link chain and smaller interwoven chains with ball embellishment. This necklace has an adjustable lobster-clasp fastening. Approx length 52cm, approx width 5cm. It's certainly a glamorous choice. Wear with your favorite LBD for an effortlessly chic evening look or a simple blouse for daywear.